Saving Downsyndrome » Bioethicists ask: How we can best promote infanticide? Bioethicists ask: How we can best promote infanticide? 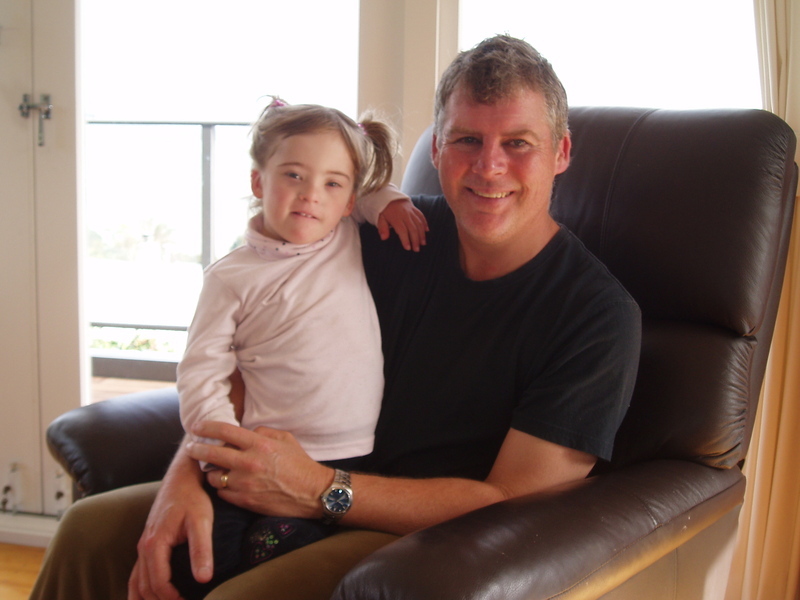 The fallout from the Otago University Bioethics paper on screening for Down syndrome continues in a new paper “Bioethics and the New Media” by Alberto Giubilini and Francesca Minerva, the same authors of a paper last year supporting infanticide for Down syndrome. This time Giubilini and Minerva are expressing surprise that the Down syndrome community opposes their agenda of eugenics and infanticide. They seem to think that they need to reconsider how they communicate to the “non academic public” because we don’t accept their views. As pointed out in our rebuttal this statement is eugenic and discriminatory. What is so surprising that the Down syndrome community would object to such an attack being made against them? If Giubilini and Minerva are really surprised that you can go around insulting a section of society like this without a reaction, then they really are somewhat disconnected from the reality of living with Down syndrome and the reality of how to treat others. That was the paper they wrote where they argued that infanticide should be permissible for Down syndrome. “Although these questions are relevant for any field of academic research (to the extent that they have a practical or cultural relevance for society and individuals), they are particularly pressing for bioethicists for at least two reasons. First, the political agenda in democratic countries is becoming increasingly concerned with regulation of biotechnologies, of medical practices and health-related issues which, in turn, have a deep impact on the life of people and on their choices. Second, issues in bioethics deal with topics, such as life, death, the moral status of human beings (and many others) that touch upon people’s most profound and personal values. For this reason, very often ideas which go against traditional values are perceived with an immediate feeling of shock and an immediate impulse to rebut the proposal, prior to any rational, cold reflection. So, in good old plain English: They would like to dismiss anyone who disagrees with their conclusions as being irrational because we don’t appreciate the opportunities of what they promote. Well, that is all very elitist and pompous, but what exactly are these opportunities of freedom and well-being they promote that we don’t appreciate? Well, we have already seen Jones and Cole theorise that in can be in the greater good not to have children with Down syndrome in our world because of a perceived disadvantage to themselves and their families. That is just plain old academic nonsense, based in perceptions rather than fact and totally removed from the actual experience of people living with Down syndrome. We have fully rebutted that paper here. (It was also covered on the 31 March 2013 TV1′s Q&A programme. There are three parts to the feature, the interview with Rob Cole co-author of the paper and Mike Sullivan of Saving Downs, the interview with the NZ Disability Commissioner and the panel discussion. There is a video and transcript for each of those at this link. You can also go to the on-demand episode of Q&A for 31 March 2013 and it starts at 25 minutes). And what of Giubilini and Minerva themselves? What opportunities of freedom and well-being do they promote that we don’t appreciate? That it should be permissible to kill new born babies who have Down syndrome. Yep, that’s it. Giubilini and Minerva support killing babies with Down syndrome. And there is a problem, because the non-academics don’t agree. And there is another problem. The Down syndrome community isn’t lying down and been rolled over. And we can’t be readily dismissed as being irrational. And the solution? Giubilini and Minerva want to change the way they promote this wonderful opportunity that we were denied to kill our babies after they were born. Because we were denied the freedom and well-being that we would have had with this wonderful idea they want to promote. I think that at this point, most rational people will have worked out there is a serious disconnection between this academic nonsense and the reality of what it means to be human and to recognise the dignity of all human life. After all, the dignity of all human life is the founding principle of human rights, one that Giubilini and Minerva are trying to redefine. So, they start with the classic eugenic argument of referring to people with Down syndrome as a disease. They then infer that some parents would have aborted said disease without providing any evidence to support this. “Although it is reasonable to predict that living with a very severe condition is against the best interest of the newborn, it is hard to find definitive arguments to the effect that life with certain pathologies is not worth living, even when those pathologies would constitute acceptable reasons for abortion. It might be maintained that ‘even allowing for the more optimistic assessments of the potential of Down’s syndrome children, this potential cannot be said to be equal to that of a normal child’. But, in fact, people with Down’s syndrome, as well as people affected by many other severe disabilities, are often reported to be happy. So they have just presented the “unbearable burden” case for eugenics. Jones/Cole used a similar argument with the term “disadvantaged”. Giubilini and Minerva have then just extended it to infanticide (what they term after-birth abortion in some bizarre attempt to redefine the word) because in their world a baby, is, well, not a person, and therefore it should be permissible to kill them. Especially if they are a “burden”. Even more so should they have Down syndrome. That is the opportunity they want to promote, the one the non-academics don’t appreciate, killing babies with Down syndrome. It seems to me that what is required is for the bioethics community to start showing the Down syndrome community a bit of respect and start behaving in a way that respects the basic dignity of all human life. Gosh, they could even involve the Down syndrome community in a respectful dialogue, rather than making academic judgments about the value of their lives. Unconditional love: Love that is without any condition what-so-ever. Compassion: the selfless respect and service of another’s needs. Acceptance: accepting another person as a unique individual worthy of respect and dignity. Dignity: recognising the innate right to respect and ethical treatment. All of those human terms would be a fresh change for the language of the bioethicist who sees those with Down syndrome as “burdens”, “disadvantages” and worthy targets for infanticide. All based in their own ignorance, fear and academic theory, as opposed to the actual lived experience of our wonderful community. The irony is that when you have a child with Down syndrome, you learn so much about those defining human qualities. When we mature in life, we often start to think about how we contribute to making the world a better place. We start to take actions to create a culture where love triumphs over ignorance and fear. I wonder about bioethicists like Giubilini and Minerva. When they approach their own deaths, will they look back at their contributions to the world and be happy that they were the ones who promoted infanticide against our community? Somehow I doubt it. Love will triumph in the end. Yep, doesn’t sound so nice in plain English. Maybe that’s why some of us don’t want to participate in the academic debate, because when we do the academics duck for cover under their version of what words mean. “Person” being a prime example of certain bioethicists using a word that means “human being” and changing its meaning in order to deny foetuses and new born babies of their humanity. Well said Stella. The plain English version simply and clearly exposes the cruel and hateful attitude of the authors. have you put this on their site Stella? Think they need to hear it as we know what they;re saying…they don’t need to translate for us.I guess they wish to maintain their power and control and can;t bear it that there are those of us who don;t have set criteria and concerns about money when it comes to who can be included in our society. Think they also need to know that there are people like me who feel they owe a disabled person for all their support-my son with DS has been enormously supportive of me during hard times in my life-his high EQ and huge capacity to love have been key to my coping! That is quite the reverse of being a burden-I see his life certainly being “worth it” (not that he has to justify his existence!!). Ironically they are not allowing my comments on their blog site after saying in their paper that there is a need “to promote a properly informed participation of the public to the academic debate in bioethics”. They are censoring all posts for the Down syndrome community. The editor is Thomas Mullaney editor@dissertationreviews.org if you want to contact them. Mine haven’t been approved-there just is no freedom of speech these days-turning into a dictatorship run by the academia and bioethicists! If they say people are “burdensome” and that its fine to commit infanticide they are indeed doing the same as Hitler and his T4 programme of killing “useless mouths to feed”; the difference being that today we live in a so-called free society (which is what WWII was all about striving for) and should be able to protest against infanticide, but no-our posts are not approved, they are deleted and we are banned from sites. And we are not abusive. I read what Mike and I were saying on that bioethics site and it was not at all abusive-we were simply requesting our side of the story and our protest against such anti-human behaviour be heard. I do see abusive posts on other sites and am shocked by how aggressive they are and certainly none of us on SD have ever tried to post anything like that but we have been closed down. Now of course it is all under the guise that we ‘don;t understand’ academic language-but we do -sure I wouldn;t be able to read calculus but the language used on the NZMJ for example was easily understood. Thank goodness we have this site in which to stand up and say-“sorry people-this is wrong and we do not approve or accept it”!! Future generations will know we are trying to spread the truth at least!! My first comment didn’t make it, so this is the latest one. “I am interested in knowing why you don’t want to engage in discussion with those of us who speak plain English? If you can refute what we say and can enlighten our ignorance, please go ahead. If you choose not to engage us in discussion then please do not write patronising articles bemoaning the fact that you do not have “properly informed participation of the public to the academic debate in bioethics”. very good. So here we are then-not able to voice our opinions against the horrors of infanticide of disabled babies-history is repeating. And since persons with little use should be eradicated, how about the elderly? Lets start with this guy’s poor old grandma. She’s just a mouth to feed right? The issue of economic burden on society to support Downs people ( and presumably other people born with disabilities ) is false. The cost to the State to maintain prisons for criminals who were supposedly born ‘normal’ will always far exceed the cost of such support. My wife and I have an adopted child with Downs ( now 24 years old ). We have natural children also. Our daughter with Downs has taught us much about life’s values and also prejudice. Dare I say: “Every family should have one !”. The quoted authors might well change their attitudes if such a child came into each of their families. I couldn’t agree with you more Graeme. I have a birth-daughter with Downs (she is also 24 now). I love her to bits and couldn’t imagine my life without her. has anybody emailed the two “bioethcisits” directly? They are not approving any posts so direct contact may be best. Yes, I have sent them a link to this blog and noted how they are trying to censor the non-academics from the debate. These two academics definitely have their work cut out for themselves if they have to put up with you retards! Thank you for your contribution. If you have a rational argument as a contribution to a constructive debate, please be our guest. haha-perfect illustration of the ignorance, prejudice and bullying faced by people with DS and their parents/supporters. And how sad to be so pathetic as to target people with DS of all people. Guess that’s bullies for you-they’re all cowards. Ad hominem attacks invalidate your argument, perhaps you’d like to try again? divorced from the rest of society and therefore irrelevant”. ….. I am speechless. How completely arrogant. The day we start letting self proclaimed academics evaluate who is worthy to walk the Earth is the day I jump off. Why is infanticide so horrid? Most people don’t consider killing cows or pigs for food to be immoral. A human infant does not have a greater right to life than individuals of these other species. A person is not just a human but an individual of any species that is self-aware and can communicate using language. Parents should have the legal right to kill their offspring before they can communicate. A number of developmental defects are not detected before birth, such as autism, and this would allow parents to try again for a normal child. Because it is murder. Ability is not a measure of personhood, humanity, or worth. Pigs and cows have nothing to do with this blog. Normal is a setting for washing machines. Jeffrey, wow. Do you have children? If so, do they know they are not more valuable than a pig or cow? Your thinking is definitely not more logical than a farm animal. Your life still has an inherent dignity that true justice demands protection from murderers. Who are they to decide who has a right to live. They are playing God.I worked for years in Special Education. From toddlers to elementary. They are the most loving , giving and non- judgemental population you can ever know. They don’t have a disease. They learn maybe at a different pace but nevertheless they do. And a big majority function very well in the community. It takes very special people to be given the gift of a Downs child. Mmm, what an unlovely pair. How would they like to do the dirty deed, exactly? A firing squad perhaps? No, the target is too small, you might miss. Maybe just put the unfortunate babies into a sack with some rocks and throw them into the nearest, fast flowing river?